The Editor-in-Chief of the International Journal of Teacher Education and Professional Development (IJTEPD) invites authors to submit manuscripts for consideration in this peer reviewed, scholarly journal. The following describes the mission, coverage, and guidelines for submission to IJTEPD. The mission of the International Journal of Teacher Education and Professional Development (IJTEPD) is to offer important perspectives on teaching and learning and to provide a forum for teacher education in an international context. IJTEPD will bridge the discussion and dialogue of teaching as a profession together while integrating the theoretical, practical, and pedagogical discourse as the core to teaching and learning. The objectives of this journal will be to contribute to continued discussion on teacher education, to create a venue for teacher education professionals to share and learn together, and to provide a platform for open discussion of teaching and learning in an international context. Researchers and practitioners are invited to submit their original empirical research articles 3,000–8,000 words in length. Interested authors must consult the journal’s guidelines for manuscript submissions at http://www.igi-global.com/publish/contributor-resources/before-you-write/ prior to submission. All submitted articles will be reviewed on a double-blind review basis by no fewer than 3 members of the journal’s Editorial Review Board and 1 Associate Editor. Final decision regarding acceptance/revision/rejection will be based on the reviews received from the reviewers and at the sole discretion of the Editor-in-Chief. All manuscripts must be submitted through the E-Editorial Discovery™ online submission manager. Please see the link at the bottom of this page. Inquiries can be forwarded to the Editor-in-Chief, Molly Zhou, at mzhou@daltonstate.edu. The International Journal of Library and Information Services (IJLIS) invites you to submit a research article that contributes to the overall comprehensive coverage on the latest developments and technological advancements in library service innovation. Public, academic, special, and school libraries, as well as information centers worldwide are continuously challenged as library spaces evolve. IJLIS faces these challenges head on by offering innovative methods for developing an effective organizational structure, optimizing library space use, and implementing programs designed to improve user experience and engagement. The mission of the International Journal of Library and Information Services (IJLIS) is to disseminate emerging research in library service innovation, and provide a venue for librarians, researchers, professionals, vendors, and academics to interact and exchange ideas. The journal addresses a variety of technologies, scholarly perspectives, and applications in the field. Inquiries can be forwarded to IJLIS@igi-global.com. The deadline for submitting Paper Presentation proposals for the 18th Distance Library Services Conference is this Sunday, April 23! The conference will be held April 11-13, 2018, in downtown San Antonio, TX, at the Hyatt Regency San Antonio, right off of the famed Riverwalk. What is a Paper Presentation? The Paper Presentation format requires that you write a paper and then present at the conference. Your paper will be published in both the conference proceedings and later in special issues of the Journal of Library & Information Services in Distance Learning. Your presentation is an opportunity to share issues, findings or conclusions related to your paper. The average attendance for the past three conferences was 273, so in addition to your paper being published in the Journal of Library & Information Services in Distance Learning, you will benefit by presenting at a smaller, focused conference with ample networking opportunities. If you want to share your research, projects, or ideas with others providing library services online or at a distance, you won’t find a better place to do it! Submit your Paper Presentation proposal soon! A reminder that we’re still welcoming submissions to the special section of the Journal of Faculty Development focused on faculty leadership. You’ll find the call pasted below and available online at http://newforums.com/jfd/cfps/cfp321/. As faculty members advance in their careers, they need new skills and strategies for managing and leading complex academic initiatives. Higher education institutions provide faculty members with programs to support prospective academic leaders with the resources they need to guide colleagues, units, and committees through change. Some leadership initiatives focus on faculty members at specific levels based on academic rank with responsibility for program coordination, curriculum development, university-wide committee leadership, or aspire to such academic roles. Other initiatives, however, focus on leadership within the academic administrative ranks (e.g., Directors, Chairs, and Deans). Program outcomes might include strengthening skills applicable in current and future academic roles and work; enhancing knowledge of academic committee and program leadership and how differences in style, strategy, and approach affect collaborative work; improving skills for those leading academic programs and committees at the department, college, and institution levels; enhancing ability to identify faculty for committee work and future academic leadership roles; and increasing interactions among faculty across departments. This call invites scholars to highlight, examine, and theorize successful faculty leadership development programs and initiatives. Authors might consider best practices implemented or in process on their campuses along with challenges or opportunities involved with engaging faculty and academic administration in faculty leadership development. What are the current and evolving needs among faculty developers organizing leadership-focused programming? What do you envision faculty leadership development looking like in the future? How might faculty leadership development programs incorporate or build upon existing or popular leadership, personality, or self assessments? How might we prioritize faculty leadership development programming offerings? What new practices are evolving to best meet faculty leadership development needs? This call encourages practical, specific programming efforts. Preference will be given to proposals that fully develop a single aspect (vs. sweeping abstractions). Please send 500-word proposals and questions to Russell Carpenter at russell.carpenter@eku.edu. Authors of accepted proposals will receive detailed guidelines for manuscript submission. Program Date and Time: Sunday, June 25th from 3 to 4:30 p.m. The ALA Equity, Diversity, and Inclusion Implementation Working Group is looking for lightning talks on equity, diversity, and inclusion initiatives from a broad range of libraries. The presentation will be on Sunday, June 25th from 3 to 4:30 p.m. at the 2017 ALA Annual Conference in Chicago, IL and will include the option for video presentations if you can’t attend in person. Presenters will have 5 minutes to share their successes and failures with initiatives designed to promote equity, diversity, and inclusion in your libraries, which means we have time for up to 12 presentations. Applications are due by May 15th and participants will be announced by May 31st. If you have any questions about the event or the process, please contact Martin Garnar at mgarnar@uccs.edu. 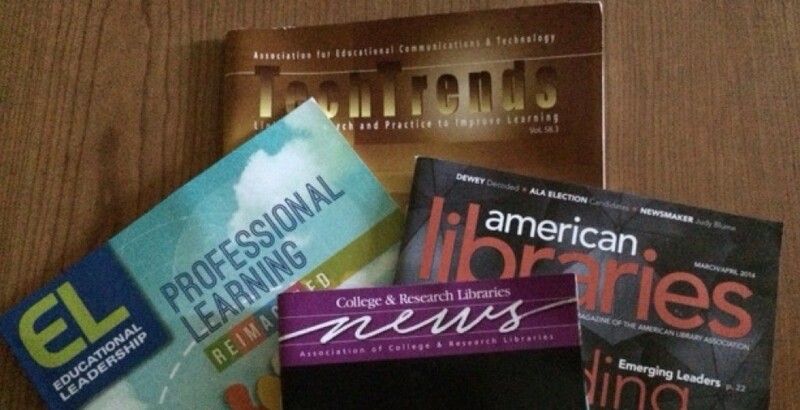 The Peer Reviewed Instructional Materials Online (PRIMO) Committee of the ACRL Instruction Section invites you to submit your online information literacy tutorial, virtual tour, or other online library instruction project for review and possible inclusion in PRIMO: Peer-Reviewed Instructional Materials Online. Site submissions for PRIMO are accepted continually, but are reviewed for possible inclusion twice per year. If you would like to submit your own project for consideration, please use the Submission Form rather than the Nomination Form. For further information, please contact committee co-chairs Bill Marino at wmarino1@emich.edu and Megan Hodge at mlhodge@gmail.com. All submissions will be acknowledged shortly after the submission deadline. If you submit a project for review and do not receive an acknowledgment after the submission deadline, please contact the PRIMO co-chairs with a request for verification that your submission was transmitted successfully. Public Services Quarterly (PSQ), published by Taylor & Francis, covers a broad spectrum of public service issues in academic libraries, including reference and research assistance, information literacy instruction, access and delivery services, and other services to patrons. Book reviewers are sought to contribute to this quarterly journal. Titles are available for review with upcoming deadlines of May 15, 2017, August 15, 2017, and beyond. Reviews are approximately 500 words in length. Reviewers should possess strong writing skills and an ability to keep to deadlines. Please provide your name, title, affiliation, a brief statement of your review interests for PSQ, and details on previous writing/reviewing experience, if any (no CVs or resumes needed). Reply to Kirstin Duffin, incoming Professional Reading Column Editor, kduffin@eiu.edu. Questions are welcomed. Conte, Marisa L. (Ed.). (2016). Translating expertise: The librarian’s role in translational research. Lanham, MD: Rowman & Littlefield. McClure, R., & Purdy, J. P. (2016). The future scholar: Researching and teaching the frameworks for writing and information literacy. Medford, NJ: Information Today. Strittmatter, C., & Bratton V. K. (2016). Teaching plagiarism prevention to college students: An ethics-based approach. Lanham, MD: Rowman & Littlefield. Tattersall, A. (Ed.). (2016). Altmetrics: A practical guide for librarians, researchers and academics. London, UK: Facet Publishing. The Library Research Round Table (LRRT) is accepting paper submissions for two Research Forums at the 2017 American Library Association (ALA) Annual Conference in Chicago. The LRRT Research Forums will feature 20-minute presentations of library and information science (LIS) research followed by discussion. Proposals are due midnight Eastern on Monday, May 1, 2017. (See submission information below.) Notification of acceptance will be made on Friday, May 5, 2017. This session, for practitioners, researchers, educators, and students, will feature three research papers that investigate emerging topics in library and information science (LIS) research. The three peer-reviewed papers will be selected as examples of excellence in research relating to new and under-studied topics in the broad field of information services. This session, for practitioners, researchers, educators, and students, will present three peer-reviewed papers describing research with the potential to make significant contributions to the field of library and information science (LIS). The three papers will selected as examples of research excellence, with a focus on work exemplifying strong use of theory, clear and well-organized research design, and appropriate data gathering and analysis methods. LRRT welcomes submissions emphasizing the problems, theories, methodologies, or significance of research findings for LIS. Topics can include, but are not limited to, user studies and user behavior, electronic services, service effectiveness, and organizational structure and personnel. All researchers, including practitioners from all types of libraries and other organizations, LIS faculty, graduate students, and other interested individuals are encouraged to submit proposals. Both members and nonmembers of LRRT are welcome to submit. 1. Significance of the research problem to LIS research and practice. 2. Quality and creativity of the methodology/methods/research design. 3. Clarity of the connection to existing LIS research. Note: Research accepted for publication by January 31, 2017, will not be considered. 2. A 500-word abstract of the research project, including: 1) a problem statement and significance, 2) project objectives, 3) methods/methodology, and 4) conclusions (or tentative conclusions for work in progress). 3. A brief statement saying if the research is complete or ongoing and listing the project beginning and end dates. Weave is a peer-reviewed, open access, web-based publication featuring articles on user experience design for librarians and professionals in related fields. Our editorial board consists of recognized experts in the field of library UX, and our editorial philosophy is to strive for a balance between theoretical and practical topics. As the importance of digital services begins to rival that of collections, library user experience is taking a more central role than ever. While new jobs are being created for User Experience librarians and some departments are being renamed “User Experience” teams, there has been no comprehensive, rigorous publication for library UX professionals to share with and learn from their colleagues. Weave is intended to fill that gap. Weave helps practitioners and theorists work together to make libraries better. Full length, scholarly articles of relevance to UX in libraries. We are interested in publishing innovative and cutting edge research, practical applications and their implications, and ideas and speculation about future directions for UX. Features for the Dialog Box, a new kind of review section. Weave’s Dialog Box aims to extend beyond the traditional book review section and feature critical dialog not only with books but with other media that set the boundaries of library UX.AtWeave UX, we don’t want you to wait until you’ve written an article to tell us about it. Submit a short pitch for your idea, and we’ll help you develop it into an article. Unless otherwise noted, all content in Weave UX is distributed under a Creative Commons Attribution license (CC-BY: http://creativecommons.org/licenses/by/3.0/) in order to allow for the greatest possible dissemination of our authors’ work. If this license would prevent you from publishing in Weave, then please contact us at hello@weaveux.org.